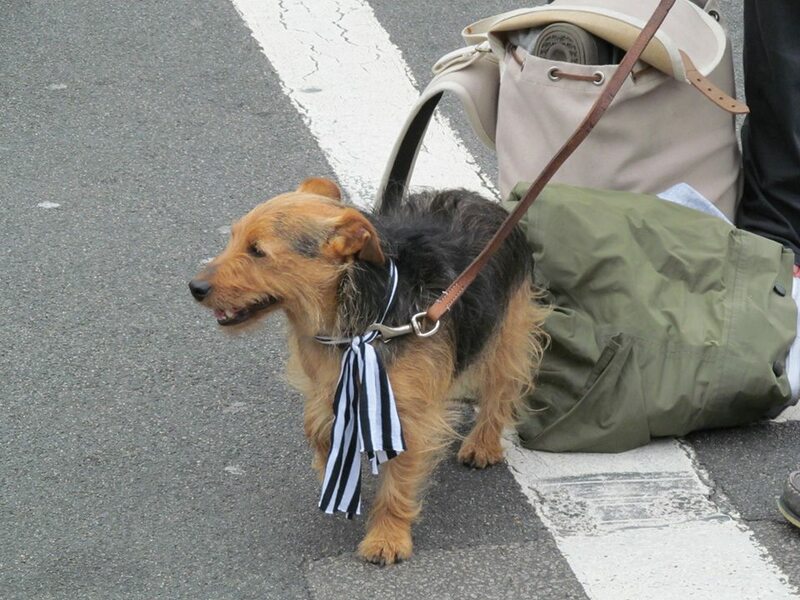 I do not think Badger would have hated a sector of society on 1st June 2013. 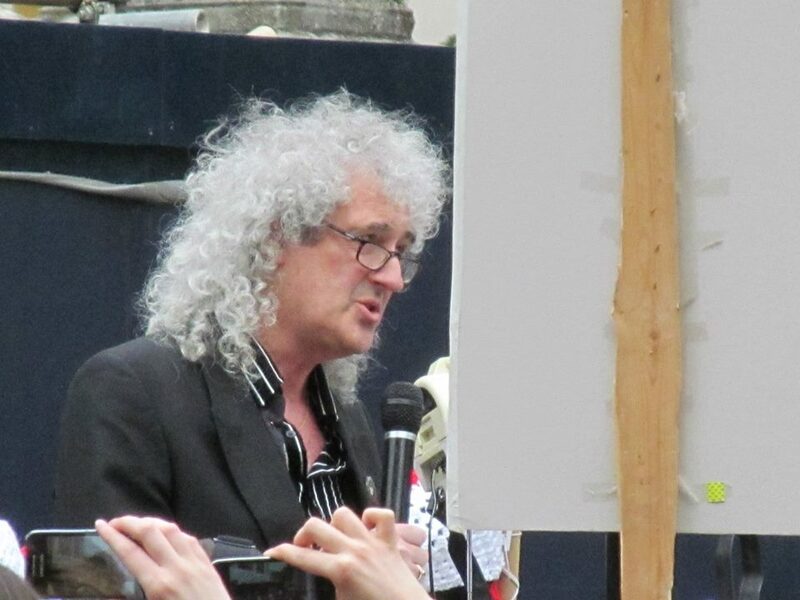 Brian May gave a wonderful talk on why we were there and why we need to keep on campaigning, networking, educating and protesting about this war on terra animals until this unnecessary cull is an ex cull. Virginia Mckenna also energised the crowd with a wonderful talk. We started off at Tate Britain, Millbank (which a friend called “Badger HQ”) and ended at The Sanctuary House SW1 which was very apt. This is what the badgers need. A place of refuge and safety. They are being attacked in their homes for no valid reason. 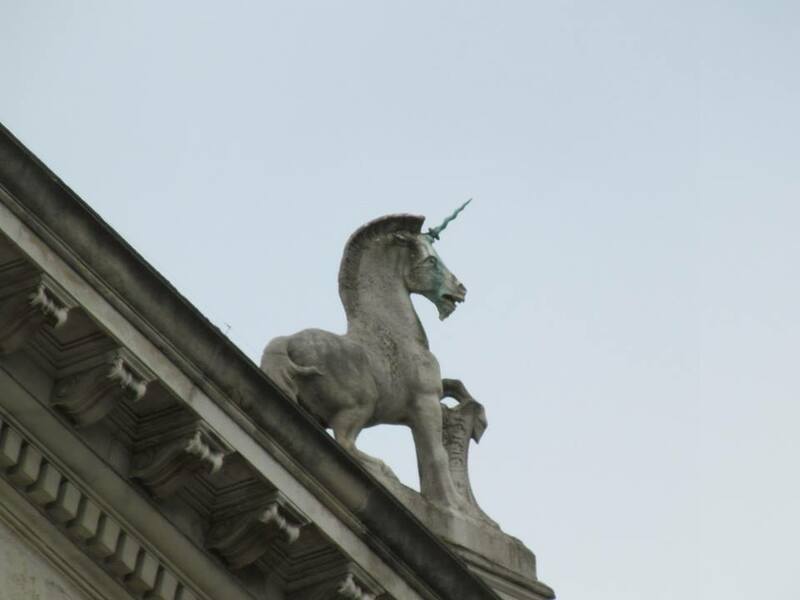 A mythical animal listened to Brian May. Unicorns are magical creatures that take us back to childhood and represent purity and innocence. They symbolise the Moon which reflects the light of the Sun so evoke the concepts of opposites, light and dark, death and life, them and us.. The dog below is Pudding. 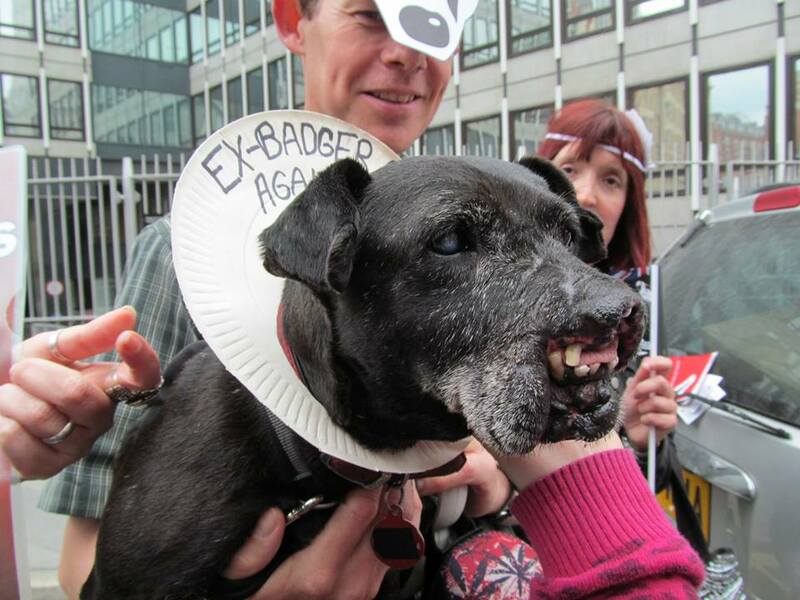 he was a badger baiting dog which is why he has facial injuries but he was out to support the badgers and raise awareness about their plight. 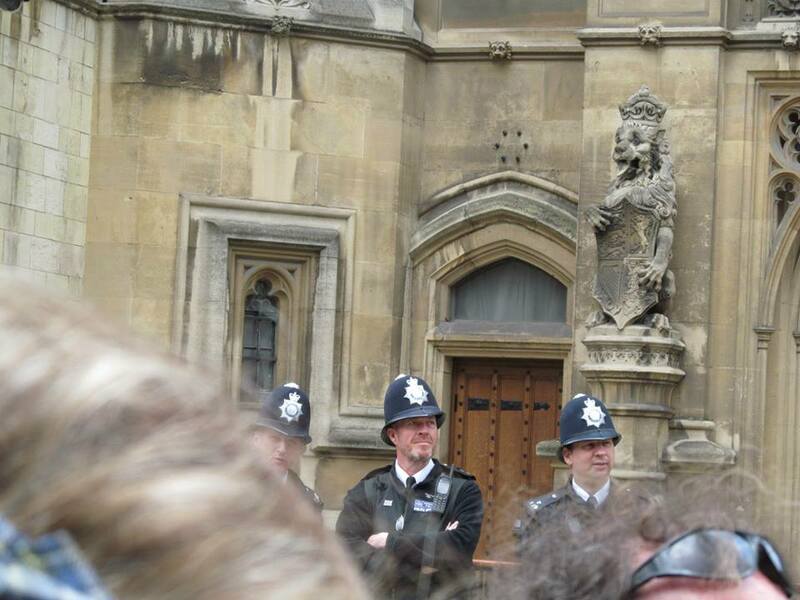 We then went to Parliament as this is where we need to win the hearts and minds of the politicians who hold the fate of our badgers in their claws. The cull is going ahead at present. 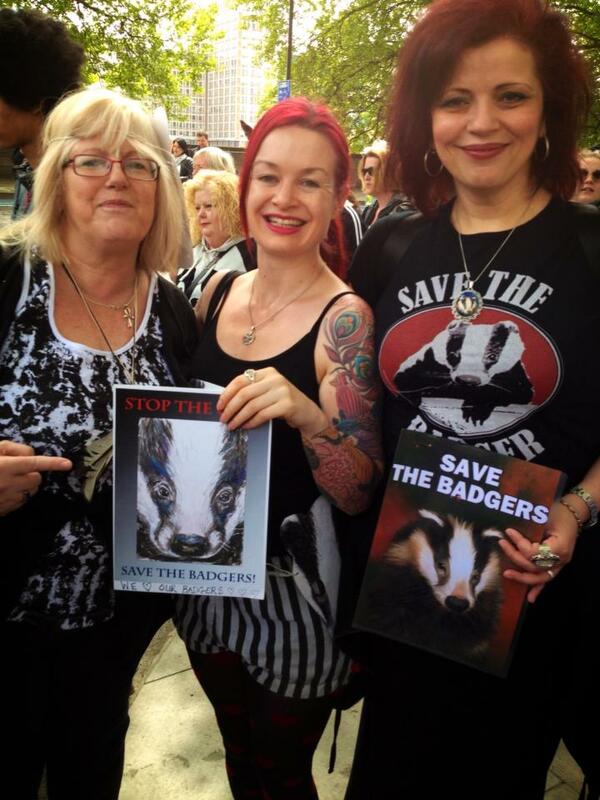 If you are free on Wednesday go to the House Of Commons and lobby your MP or contact your MP before then ““Labour is calling a vote on the cull next Wednesday and we will be working with MPs from all parties to stop this crazy scheme. We need a science-led policy to manage cattle movements better and prioritise badger and cattle vaccination to tackle bovine TB instead of a cull.”The wording for the motion reads ‘This House believes the badger cull should not go ahead.’ In the meantime there are people out trying to protect the badgers. We must stop this cull. We will. 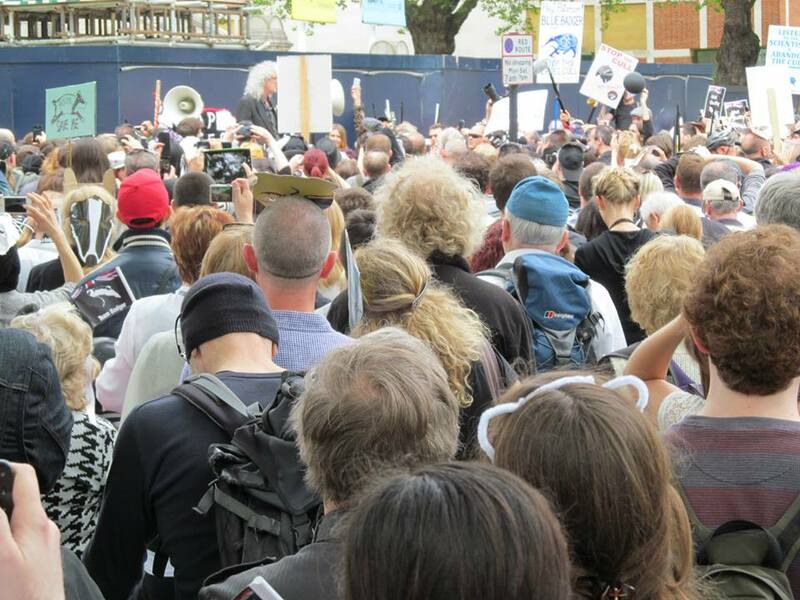 The Artful Badger who performed the Love The Badger Dance outside Parliament in October 2012 were there and managed to upstage and uproot the EDL by chasing them around the streets. I will end this post with another quote from Kenneth Grahame from “The Wind in The Willows” Badgers are being attacked as they leave their homes. Unless the senseless cull is quashed there is no sanctuary for them. 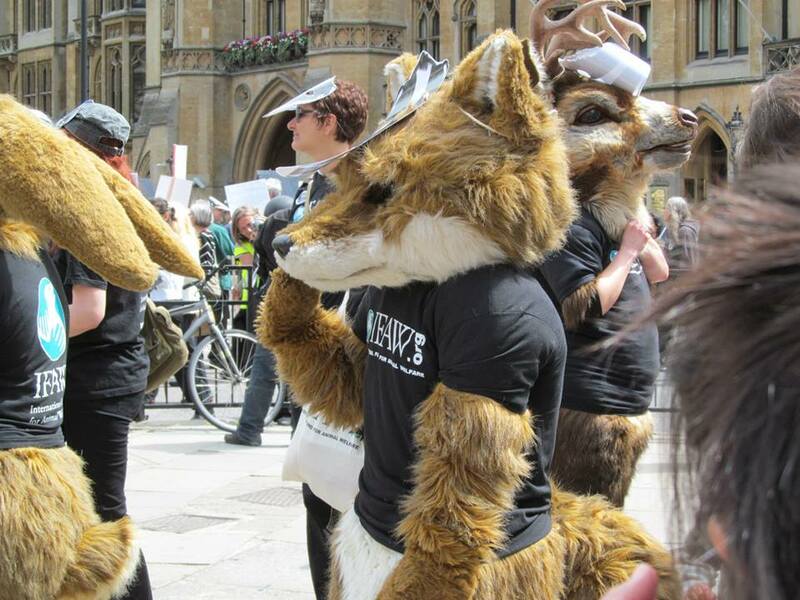 This entry was posted in Animal Work, Badger Cull, Environment and tagged 1st June 2013, Badger, Badger Cull, Brian May, Parliament, unicorn. Bookmark the permalink.